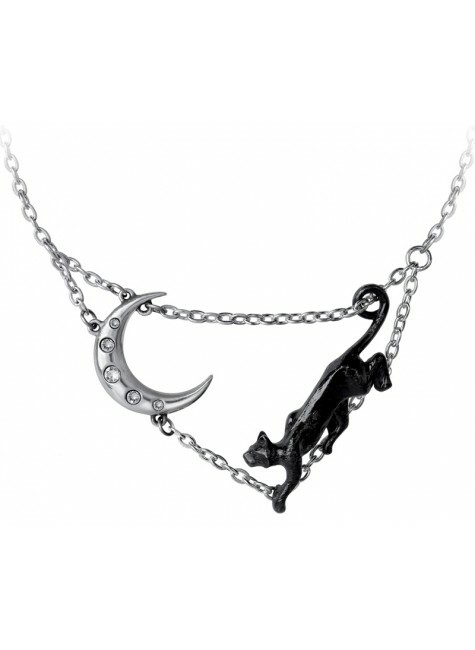 A mystical black cat stalks the crescent moon in this stunning pewter necklace. Necklace is about 2.28 x 2.68 x .28 inches in fine pewter on a silvertone 15 inch chain. Item Number: AG-P879 | Approximate Size (Inches): 2.68 wide x 0.28 deep x 2.28 high | Approximate Shipping Weight: 0.25 lbs. 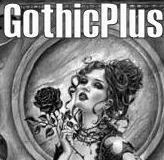 Superstition and folklore pervade the mysterious black cat. Known in Celtic..